Barbed Hook Outdoor Web Design is owned by a dedicated outdoorsman, hunter, fisher, off-roader, and extreme sports enthusiast. We are NOT a corporation, just getting into a niche market. We strongly support 2nd amendment rights, conservation and preservation of our natural resources. We support small business and want to see small enterprise flourish. To accomplish our mission, we discount our services to, and only to, these businesses. We realize a lot of these smaller businesses are derived from hobbies and passions, and for a lot of you out there, are not your sole means of income. We don’t want to financially burden your business, we want to help it grow and flourish. We feel having affordable web design and marketing services available to these businesses is something in high demand but low in choice. Barbed Hook Web Design was founded on the idea of a design company devoted to and exclusively building web sites and logos for companies, groups, and organizations directly related to hunting, fishing, trapping, outfitters and hunting and fishing guides and charters, and gear and equipment manufacturers both large and small. Our business is built on trust and respect. Many of our clients come to us by referral, thus keeping our advertising budgets lower and allowing for a lower end price for our customers. We pride ourselves in high quality, professional work. We offer great communication and fast turn around times. We are not happy until you are happy and even after the project is completed, we are still available for you. 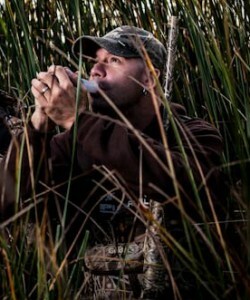 Barbed Hook Web Design is a sister company of Pintail Waterfowl. We are based in Grand Blanc, Michigan. We do not outsource ANY of our design work outside of the United States. We have over 15 years in the web design industry, 23 years in the graphic art and design industry and a trusted name in many different outdoor industries.